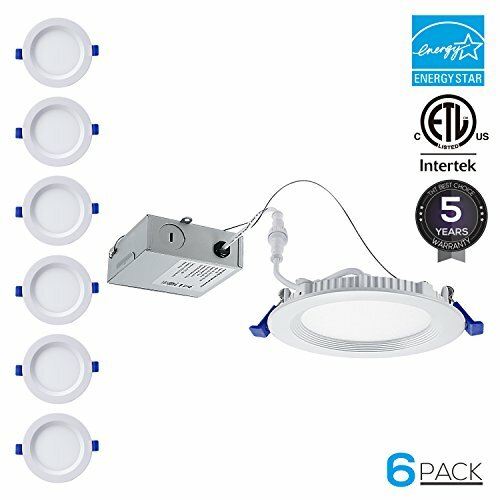 This daylight recessed ceiling light would just be the one you want if you are troubled by the little space of ceiling or high electricity costs. supporting retrofit, remodel or new construction installation. without impact on the overall illumination performance, providing a cozy and warm ambiance to your room. Easy and Safe Installation: The slim design allows for easy retrofit, remodel or new construction installation from below the Ceiling. Strict Safety Standards: The airtight structure could effectively prevent moisture and heat so that it is suitable for use in humid environments. Rugged aluminum housing ensures corrosion resistance and excellent heat dissipation. kitchens, basements and any other small areas. Also, we provide you with a 5-year warranty to protect your interests.